Where are there grocery stores? Where is there a 24 hour pharmacy? Are there any stores open 24 hours? Is there a Movie Theater in Pigeon Forge? What is the weather like in Pigeon Forge? What religious services are available? 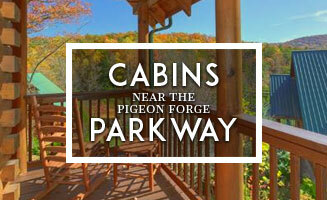 Just how do you say Pigeon Forge? Sevierville? Are powered wheelchairs available for rental? What stores are open 24 hours? Where is there a movie theater? Pigeon Forge has two movie theaters. The Forge Cinemas is a movie theater in Walden’s Landing in Pigeon Forge and Governor’s Crossing Stadium 14 in Sevierville. View a map to the community center as well as other area facilities. Winter, Spring, Summer and Fall: you’re guaranteed to like them all. Tennessee enjoys mild winters and summers. Spring arrives to stay in mid-April, although warm weather begins to appear in mid-March. 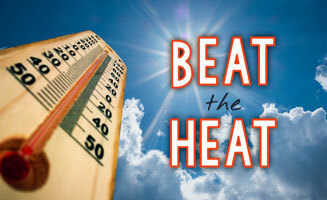 Temperatures are in the upper nineties during the hottest part of the summer. Afternoon thunderstorms are not rare during the summer so it is a good idea to be mindful of the potential for storms as the day heats up. The summer heat lasts until late September, when cooler weather begins to settle in, bringing with it the color spectacular of changing leaves in the Smokies, which peak in mid to late October, depending on weather conditions such as the amount of rain as well as duration and frequency of cool nights. Snow is possible in the Pigeon Forge Area from late November through late March, but accumulation is not always guaranteed when snow begins to fall. Bear in mind that higher elevations in the mountains will have different weather. The Smoky Mountains are a temperate rainforest because when warm moist air from the valley ascends into the cooler air of the mountains, the water vapor in the air condenses and rain falls. The highest elevations in the Great Smoky Mountains are comparable to Canada in terms of weather and even wildlife. For current Pigeon Forge weather information, visit the National Weather Service page for Pigeon Forge, Tennessee. Many options for participation in religious services in Pigeon Forge and the surrounding area are available. Please visit the PigeonForge.com Pigeon Forge Area Religious Services Page for more information. Pigeon Forge is the site of an historic iron forge, or blacksmith’s shop, on the banks of the Little Pigeon River that served residents of the area. The pigeon in Pigeon Forge comes from the passenger pigeon, an extinct bird native to the area that once darkened the skies when flocks took flight. The last passenger pigeon died at the Cincinnati Zoo in 1914. The pronunciation of Sevierville is a source of frustration for many visitors. Sevierville is the county seat of Sevier County. Sevier County is named for the Revolutionary War Hero John Sevier of the celebrated “Overmountain Men” who fought the pivotal Battle of King’s Mountain in South Carolina. Sevier’s name is pronounced the same as “severe.” Sevierville was named in the same tradition of naming communities after famous individuals that found names for the Tennessee communities of Knoxville, Nashville, and Greeneville. Are wheelchairs or motorized scooters available? Pigeon Forge, Gatlinburg, and Sevierville make access to pedestrians a priority. For visitors who require assistance to enjoy their stay in the area, a wheelchair or powered scooter rental may be appropriate. For medical equipment vendors, contact the Fort Sanders Sevier Medical Center. Visit the PigeonForge.com community resources zone for a link to the Fort Sanders Sevier Medical Center.